Our professional technicians at Oakville Appliance Repair provide expert Bosch oven repair and maintenance services for home and business owners in the Oakville area. We offer 24/7 same-day emergency service, call us to schedule an appointment. 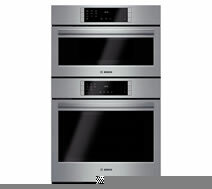 Bosch wall ovens come with single and double oven options and can be placed nearly anywhere within your kitchen granting a large amount of versatility. Our technicians are Bosch oven repair specialists, call us now to book an appointment! Bosch has designed their steam ovens to have convection flow, easy cleaning, and automatic programs for steaming different items. 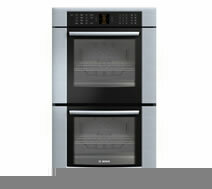 Call us now to book an appointment with our Bosch oven repair experts. Bosch Combination Ovens are are newcomers to the market and are highly luxurious appliances with a large multitude of features a multitude of specialized options. Our professional technicians provide expert Bosch oven repair services, call now to book an appointment! 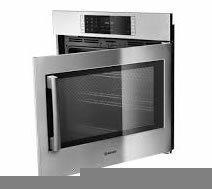 Bosch single wall ovens have features such as side opening doors, similar to the way a microwave opens, specialized cooking modes, self clean, and more. 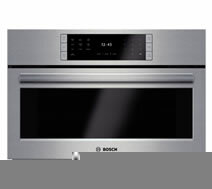 Bosch double wall ovens include all the features of the single ovens and also include a meat probe, EcoChef mode that uses residual heat to finish cooking items, and other features.